Rejoice! We’ve made a signing! We can relax as our defence has been bolstered by reinforcements! Not quite, but before the naysayers pour scorn over the capture of Konstantinos Mavropanos, what can we expect from the 20 year old Greek defender who has cost reportedly around £2m? We signed the youth starlet from Greek side PAS Giannina in the Greek Super League, and football experts from his native homeland have been raving about him since his debut in 2016, when he was just a teenager. More importantly though, he is reportedly the first player that our new Head of Recruitment, Sven Mislintat, has been responsible for highlighting as a potential star for our team. Making his professional debut in November 2016, he has scored three goals in a little over a season, and at six foot four inches, he is robust enough to be able to adapt to the physical challenges that the Premier League will unleash upon any new players. He is on the international selection radar for Greece, and has already earned two Under-21 caps. His rise to prominence has been compared to another recent Greek starlet, Panagiotis Retsos, who recently was snapped up by Bayer Leverkusen at the tender age of 19, breaking the Greek transfer record in the process. His recent displays have alerted Greek giants Olympiacos and AEK Athens, but thanks to our eagle eyed Mislintat, we have nipped in and grabbed a player who has massive potential. Potential though, sometimes doesn’t bear fruit. As a Gooner, we know this all too well. Daniel Crowley, Jon Toral, Gedion Zelalem in recent seasons have all flattered to deceive, despite the talent they possessed. They need to have the adequate work ethic to ally with any blessings they have in skill. Without that, they will fade into insignificance. Will Konstantinos Mavropanos be any different? It is far too early to say. Players like Alex Iwobi and Ainslie Maitland-Niles have had moments when the jury has been out on their development, but it is clear that they have what it takes, especially when it comes to working on their game. If Mavropanos can work hard and make it count on the pitch, there will be no reason why he couldn’t make it. If he has been rubber stamped by Sven Mislintat, then that really should fill us Gooners with a little cheer. Sven spied some world class talent from nowhere when he was at Borussia Dortmund, such as Pierre Emerick Aubameyang, Shinji Kagawa and Ousmane Dembele – it proves his ‘diamond eye’ moniker is entirely deserved. It is unavoidable that frustration will flow as our rivals inevitably strengthen their side with established names that can instantly boost the team. The window is an infernal pest that is an awful creation. We may well do more business yet. Hopefully. Fingers crossed. The odds on youngsters making the grade is low, but we can have high hopes for him. If he’s good enough for Mislintat – and if we can concede that Sven knows far more than we do – then he should be good enough for us. If this comes good, then it could be another bargain in a long list we’ve had. 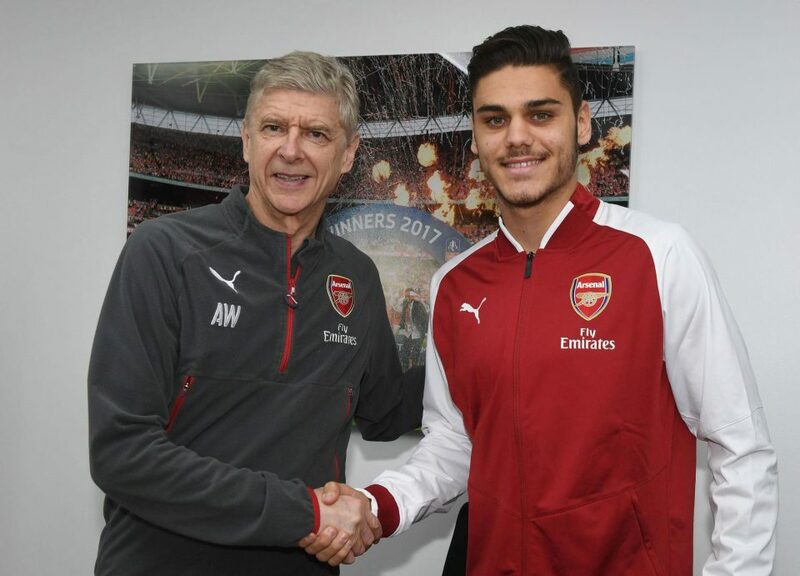 For now, let’s welcome Konstantinos Mavropanos to The Arsenal. You are, in my opinion, employing a degree of wisdom by withholding your judgement. It is commendable to have optimism at the advent of any new signing without being brash about the future. I go along with you re Konstantinos suitability, has potential and the right physical attributes, welcome and best wishes to him, he carries our future with him – no pressure! Whilst I’m not a particular fan of the January transfer window it can be a necessary evil in certain circumstance – like our current defensive plight. We desperately need an experienced central defender. Given the recently published statement on Arsenal’s financial wellbeing I believe we should have competed with Liverpool for van Dyke. Acquiring Jonny Evans would be a move in a positive direction. But it would seem that after showing some initial interest in both Evans and van Dyke Arsenal have shied off when other ‘big spenders’ have made their interest known. My message to the AFC management is reflective of the festive season – “If you don’t change your habits and loosen your purse strings Mr. Scrooge then Tiny Tim will die”. Thank you, and I agree – we need urgent investment in our ranks. We’re already behind, if we let others steal a march then the gap will grow. Mavropanos will hopefully be a rough diamond! 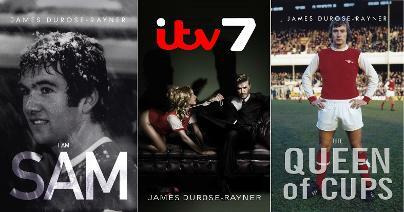 I’m so glad that I’m not a match commentator – these names are getting longer and more complex. If it continues in this way then the players will have to wear scarves as the shirt won’t be wide enough. Ha! Remember Vennegoor of Hesselink? Still the longest by a mile, although lucky that Sri Lankan football players are in the minority, they’d smash the record! A thought just occurred to me – what if the seemingly popular trend of hyphenated names should spread to the peoples we’ve written of – terrifying prospect, we’d need banner sized match programmes.